In the closing days of the Obama administration, the United States negotiated with Mr. Abbasi’s predecessor, Nawaz Sharif, to try to persuade Pakistan not to deploy these weapons, which American officials said are designed for use on the battlefield against an invading Indian army, and were therefore more at risk of falling into the wrong hands. “We do not have tactical nuclear weapons,” Mr. Abbasi said. “We have short-range nuclear weapons,” which, he said, were not designed for battlefield use and were under the same command and control safeguards as the rest of Pakistan’s nuclear arsenal. Mr. Abbasi, 58, became prime minister in August as a fallback choice after his predecessor, Mr. Sharif, decided to leave his brother and preferred successor, Shehbaz Sharif, in a powerful chief minister’s post in Punjab, rather than move him to the capital, Islamabad. 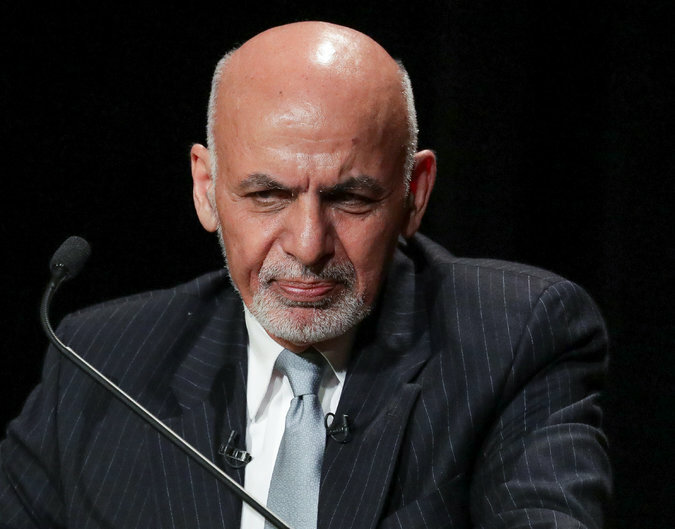 Afghanistan’s President Ashraf Ghani speaks during a panel discussion at Asia Society in Manhattan, New York, U.S., September 20, 2017. In the interview, Mr. Abbasi said the United States did not appreciate the inroads made by Pakistani soldiers against safe havens used by the Pakistani Taliban. On his visit to New York, Mr. Abbasi has confronted the chilly new reality of Pakistan’s relationship with the United States. Although he met on Tuesday with Vice President Mike Pence, he did not get a one-on-one meeting with Mr. Trump, instead chatting with him at a reception. During the George W. Bush and Obama administrations, Pakistani leaders met regularly with the president. Mr. Obama set up an ambitious strategic dialogue with Pakistan that the Trump administration has not continued. In announcing his Afghanistan policy, Mr. Trump made clear that the days of cultivating Pakistan as a partner were over. The president did not specify what punitive measures he had in mind, but other officials have talked about holding up aid or stripping Pakistan of its status as a major non-NATO ally. The White House recently named Lisa Curtis, an analyst at the Heritage Foundation with a history of strong views on Pakistan, as director for South and Central Asia on the National Security Council. A report she wrote last February with Husain Haqqani, Pakistan’s former ambassador to Washington, called for the new administration to “avoid viewing and portraying Pakistan as an ally.” If Pakistan did not take steps to show its commitment to America’s counterterrorism goals, Mr. Trump should strip it of its non-NATO ally status in six months. Ms. Curtis and Mr. Haqqani stopped short of recommending that Pakistan be put on the government’s list of state sponsors of terrorism — as some lawmakers have demanded — at least during the Trump administration’s first year because, they said, it would be too destructive to the relationship. But they said Mr. Trump should keep it as an option for later on. Manafort Working on Kurdish Referendum Opposed by U.S.